In this typical California landscape, sycamore trees blaze with color on a local trail in Southern California. 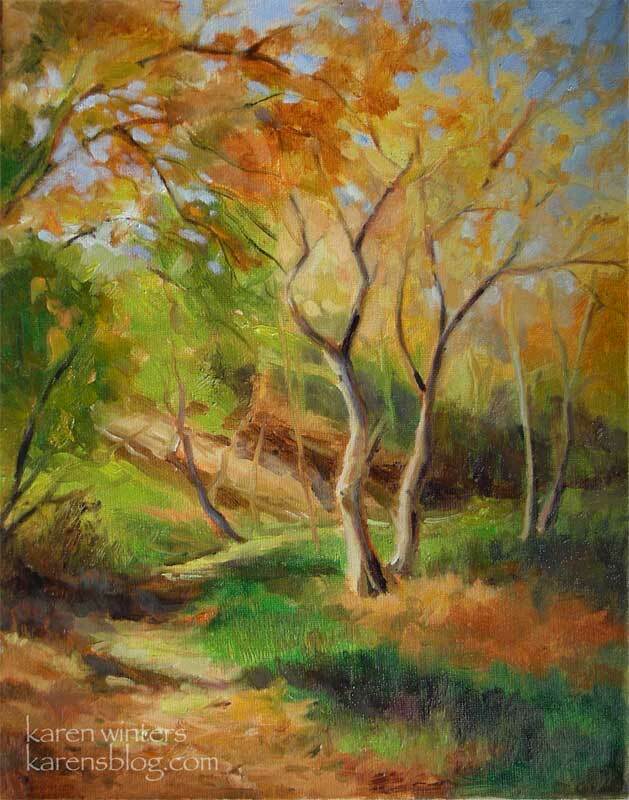 This scene is close to home in La Canada Flintridge, and I may be taking this painting next weekend to the Montrose Artwalk. If you’re a local person, look for me near the bowling alley on Honolulu Avenue in Montrose, zip code 91020. Good words to live by as an artist!